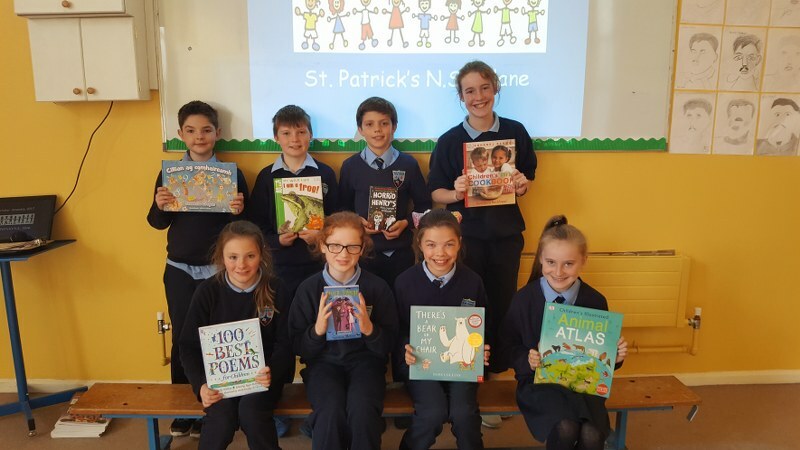 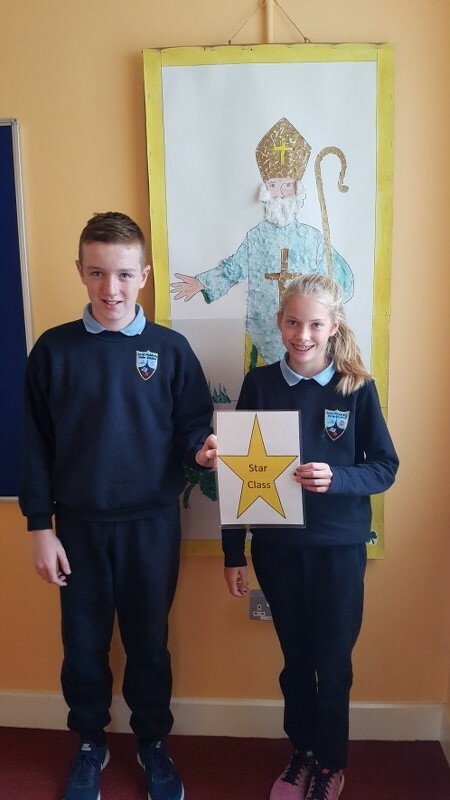 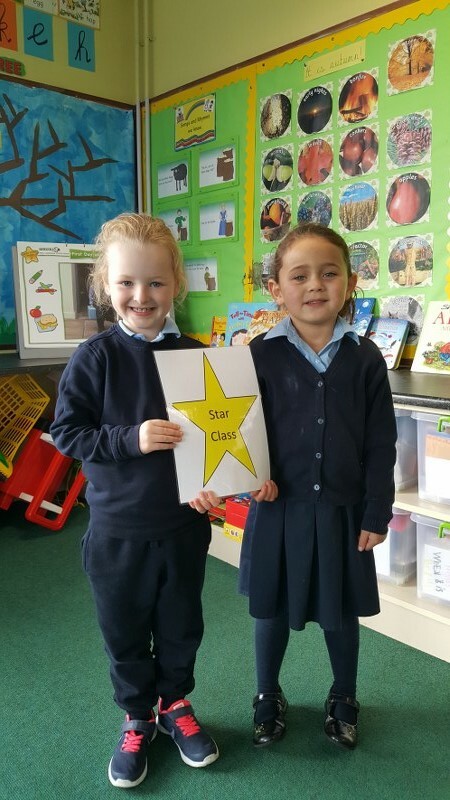 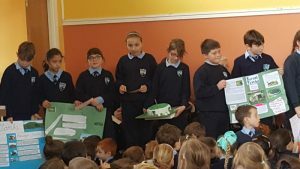 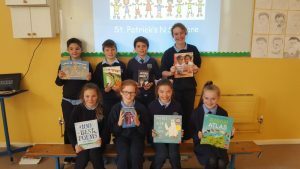 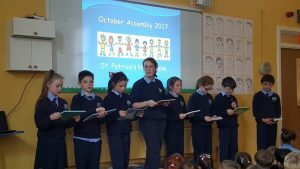 Our October assembly was presented by 5th class pupils hosted this month’s assembly and, after the talk on the naming of The Francis Ledwidge Library, the pupils read out the birthdays, gaeilgeoirí na míosa and the awarding of star class to junior infants and sixth class. 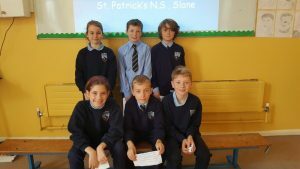 Our new pupils Rocco, Karen and Aaron Cioti, as well as Mr. Caolach Halligan, who is in our school on teaching practice, were welcomed to our school. 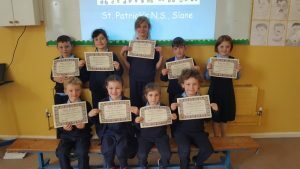 The news section included the Cheerios Breakfast Day, the Francis Ledwidge Library and the trip to Newgrange by pupils. 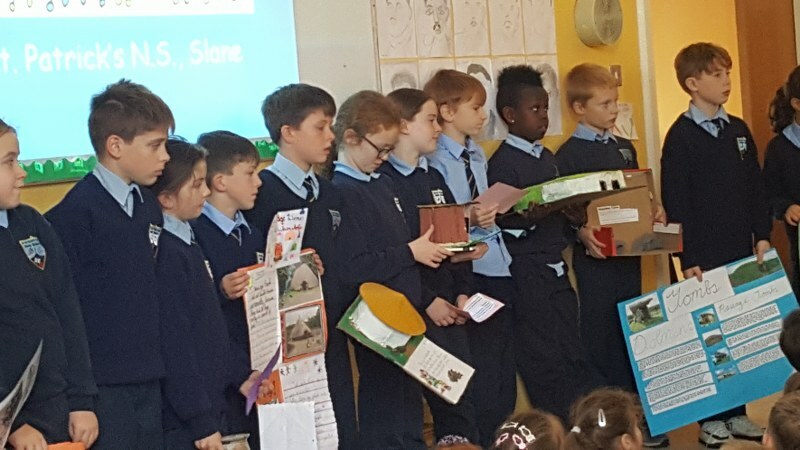 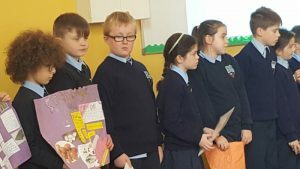 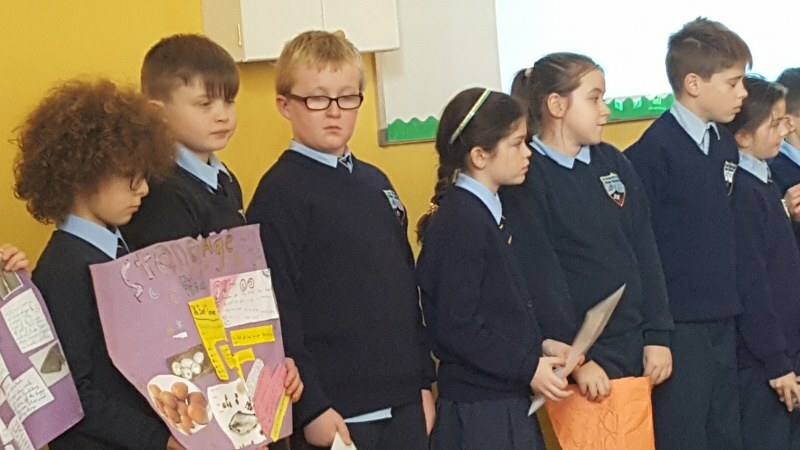 Pupils from 4th class presented their work on Newgrange. Well done to all presenters, award winners and exhibitors!